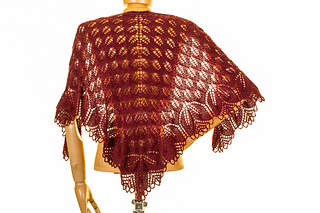 This pattern is part of the Haruni Variations Collection ebook, which contains 5 patterns. Haruni Plus is the original Haruni with a lot of bonus features. 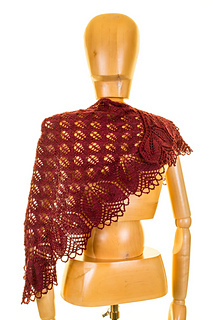 It has a smoother transition between lace charts, optional beading, and a refined beaded bind off. 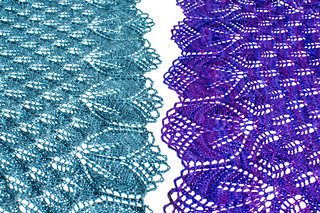 In the 3rd photo the original Haruni is on the right in purple, and the grey shawl on the left shows these changes. It is also written in 8 sizes, complete with stitch counts for every row. 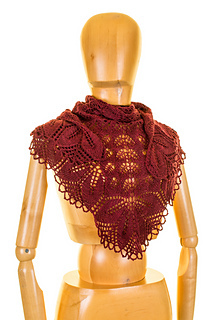 It also includes what percentage of total yarn is used for each of the two charts for all 8 sizes, allowing you to maximize yardage for any weight of yarn. 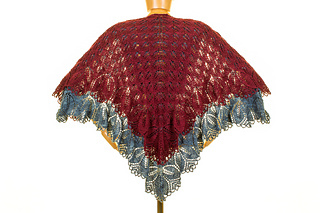 Pattern has been test knit, and features large, easy to read charts and full line by line written directions with stitch count totals for every row.